Getting a handle on finances or setting financial goals is often high on our list of to-dos. However, most of us are destined to fail. Luckily, there are some really nifty apps to help us save money and guard against excess spending. They’ll help you to stay on top of your finances and prevent you from racking up a massive credit card bill. 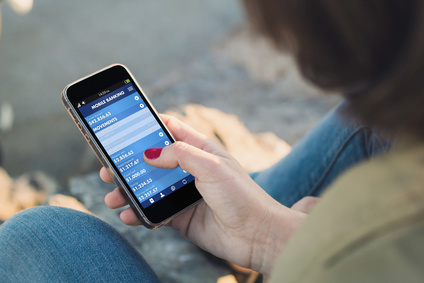 Check out these fantastic money saving apps to help you get on top of your money game. Many of us have accounts with more than one financial institution, and it can be hard to keep track of your finances across institutions. 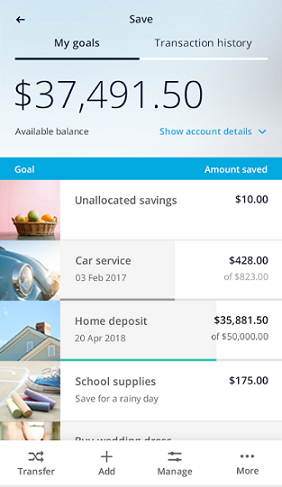 MoneyBrilliant works as your personal finance assistant that connects all your bank accounts into one app (it’s connected to over 200 financial institutions in Australia), allowing you to get a holistic view of your finances and spending habits. The app automatically organises your transactions into categories such as essentials, lifestyle and income – and you can set a budget for each one. It then shows exactly where your money is being spent, so that you can check yourself before you make any impulse purchases. The app is also really handy come tax time. Just state your occupation and answer some questions regarding your work expenses, and MoneyBrilliant will provide you with a list of your past transactions which might be eligible for tax deductions. No more tedious sorting of receipts required. AMP has a seriously amazing smart bank account and app called Bett3r. It basically automatically moves your money into three buckets: pay, save and spend. These linked accounts learn with you and help you create totally achievable financial goals. There are lots of apps which will tell you how much you’ve spent. This one doesn’t wait until it’s too late. 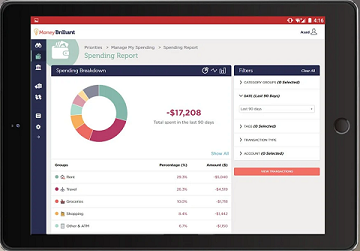 Bett3r proactively manages your finances for you. It goes beyond tracking your past expenditures and manages your money for you by sending you alerts so you know what is safe to spend. The Bett3r app allows you to manage your money on the go, with snappy customized alerts to help you stay on track with your goals (it could, for example, prompt you to reconsider splurging on a set of beach towels with your dog’s face on them). This one is great for those of us looking for a super simple way to manage a budget and set up multiple savings goals at the same time. There’s nothing worse than when a great dinner with friends turns awkward when you discover you can’t split the bill. Cue the pained silence until someone reluctantly offers to cough up their card. Enter Splitwise, an app that makes it really quick and easy to divvy up who owes what to whom. You can let the debts add up, with Splitwise calculating the running total, and pay them all at the end of the month – at which point it might be even stevens anyway. But if it’s not, Splitwise sends IOU reminders that aren’t at all passive aggressive (much better to let an app take over those delicate communications!). 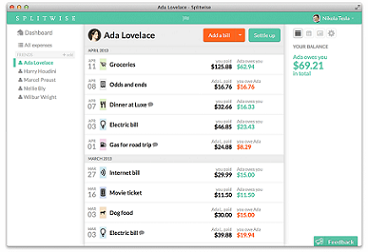 Splitwise will also remind you when your own bills need to be paid. 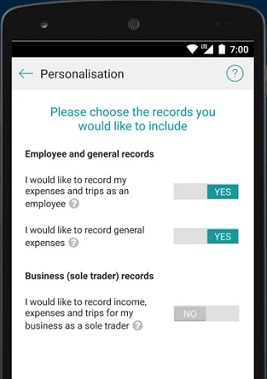 The Australian Taxation Office has an app which individual tax payers and small business owners can use to make conducting your tax affairs a breeze. There are a large number of nifty features the app provides, such as tax calculators, accessing ATO services, tracking your income tax return and managing tax deductions, to name just a few. The app also features their myDeductions tool, which allows you to keep track of all your work-related expenses, gifts and donations, either through data entry or by taking photos of receipts. The app stores the data and makes tax time quicker by uploading your deductions automatically into your tax return. This takes a different tack altogether. Fortune City gamifies the most tedious of tasks – bookkeeping. 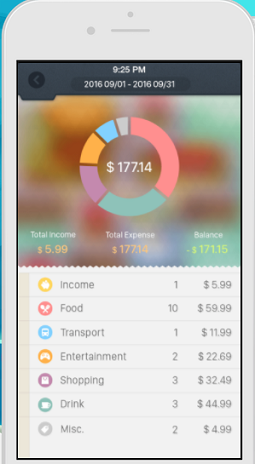 App users can track their spending by recording expenses while playing a city simulation game. The better you are documenting your expenses and meeting your goals, the more bedazzling your city will become. The idea behind the app is that positive habits are formed through positive associations, which is why its creators also came up with Walkr, an app with an inbuilt pedometer that encourages users to walk while exploring a starry, starry galaxy. Think of it as a Tamagotchi for your finances. *Darren James of MBA Financial Strategists is an Authorised Representative of AMP Financial Planning Pty Ltd, ABN 89 051 208 327, AFS Licence No. 232706. Any advice given is general only and has not taken into account your objectives, financial situation or needs. Because of this, before acting on any advice, you should consult a financial planner to consider how appropriate the advice is to your objectives, financial situation and needs.